Baby Girl Greeting Card by Rufus Rabbit. perfect for a newborn occasion. 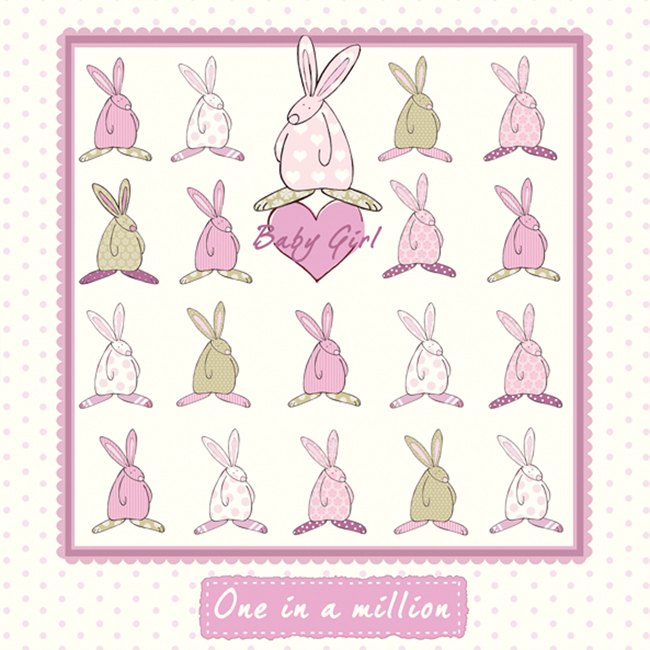 Need a baby girl greeting card by Rufus Rabbit to welcome the new arrival? If so you have come to the right place! We print our cards in the UK on forestry sustainable board. Each card comes with a white envelope packed in a cello bag. This design by Anna Danielle, creator of Rufus Rabbit has added sparkle to mark the special occasion. Her secret hope is that Rubie ( Rufus’ twin sister) it will become a firm favourite with your little one, even if the moment is fleeting as there can be no greater honour!